Gardens are always an ideal getaway from the routine. 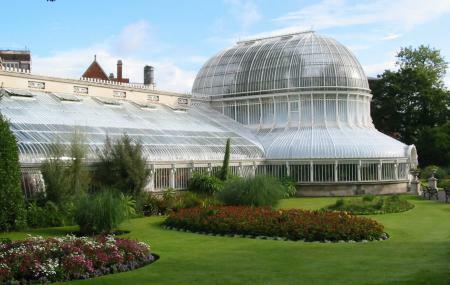 The botanic garden of Belfast is a little paradise of peace flaunting the best of nature. Exotic tropical plants, a range of seasonal displays, birds and more are part of its natural display. The colorful garden is a very important part of Belfast's Victorian heritage. The greenhouses and the rose garden both are completely worth your time. The Botanic Garden is a recommended visit in Belfast. The garden is closely located to the Ulster Museum. Free Wi-Fi is available in the garden premises. You may have to pay for parking. Baby sitting facilities are available. Love this? Explore the entire list of places to visit in Belfast before you plan your trip. Fancy a good night's sleep after a tiring day? Check out where to stay in Belfast and book an accommodation of your choice. How popular is Botanic Gardens? People normally club together Belfast City Hall and Dunmurry Golf Club while planning their visit to Botanic Gardens.